It was our last day in Manila and so we planned for a valentine date dinner with our new found firends, Josephine and Jeffrey. 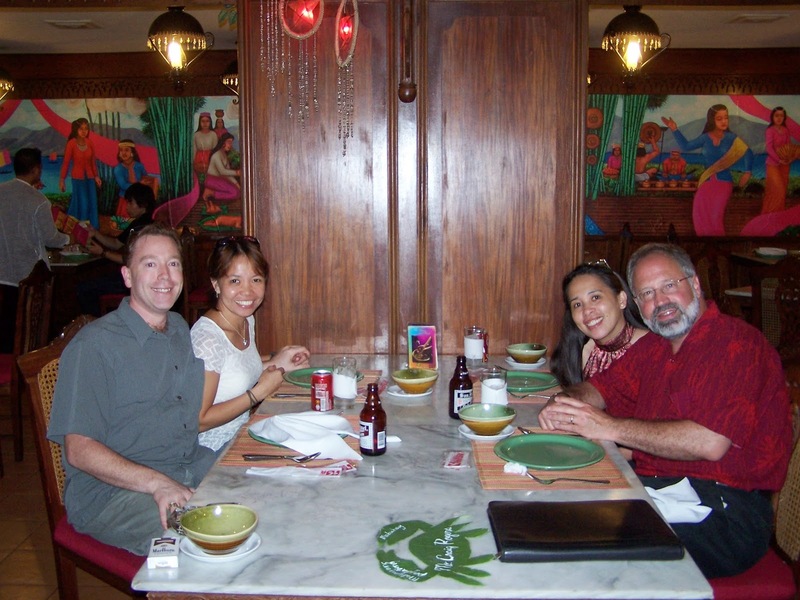 The Kamayan Restaurant was just 2 blocks away from our hotel, so we made a reservation there. The restaurant is cozy and food are home cooked like "lutong bahay" taste :). Tasty!...and they gave us a special bonus, a song from the "harana" group. That was worth cherishing! Together with the "harana" group.